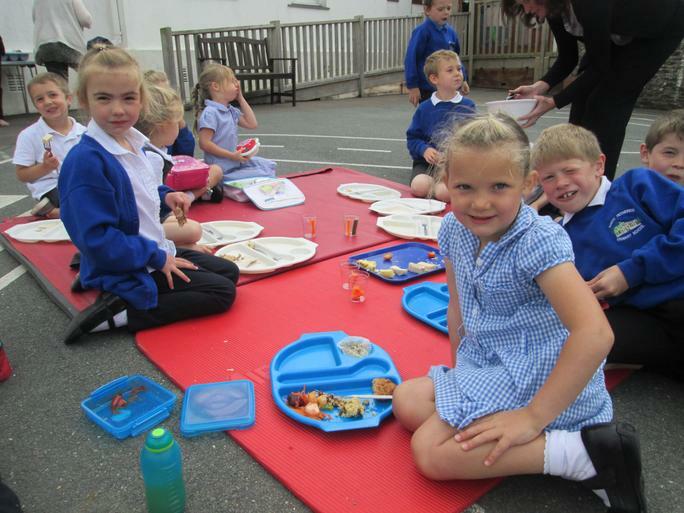 Today we had a picnic at North Petherwin. 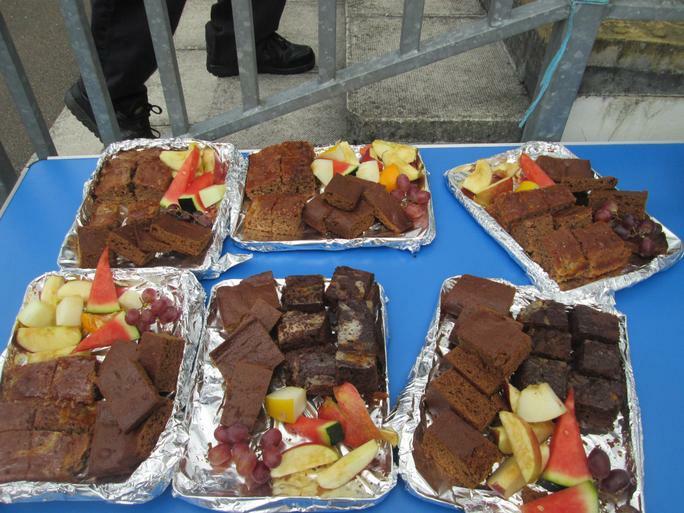 Natasha, our lovely cook, had made a super spread of finger sandwiches, sausage rolls, Marmite muffins, frittata, potato salad and beetroot, apple and carrot salad. 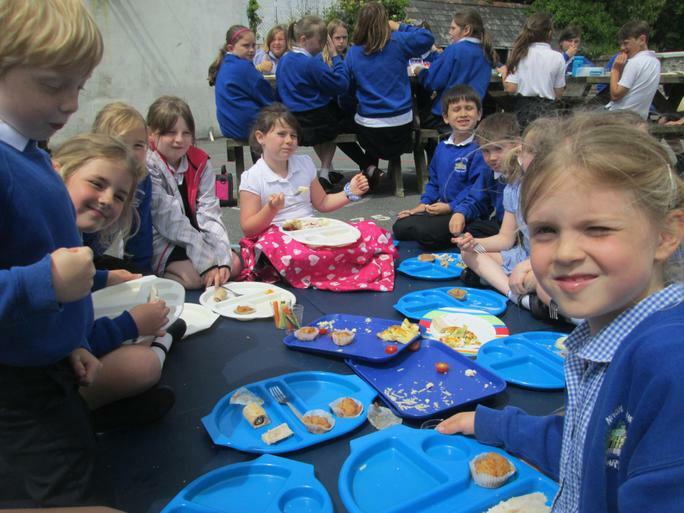 Making the most of the weather we sat outside to enjoy the sun. 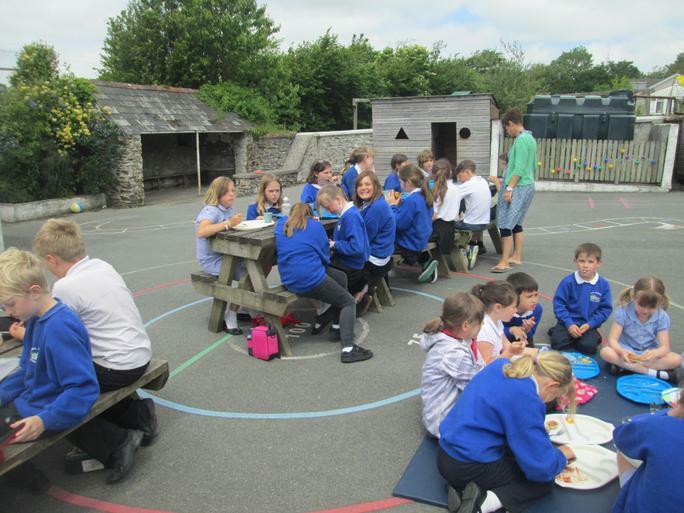 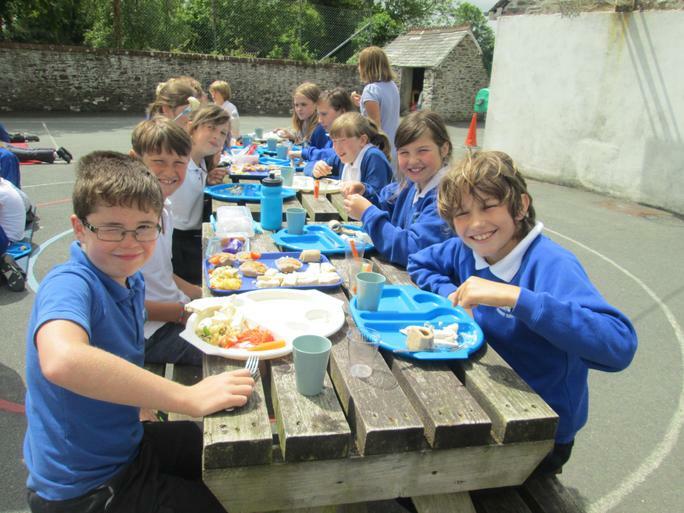 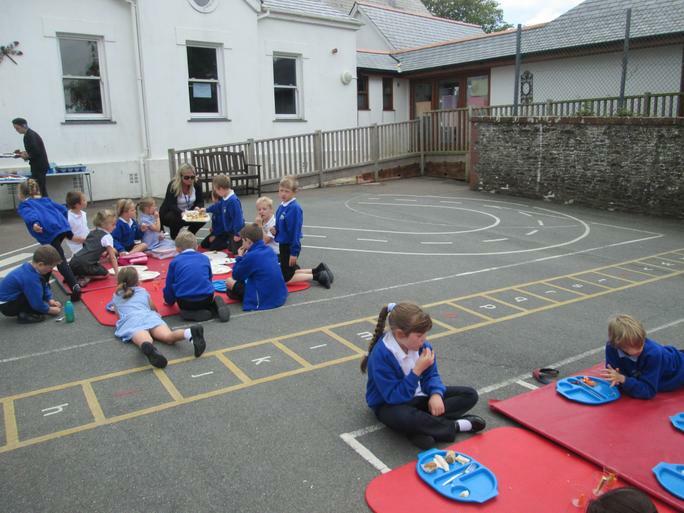 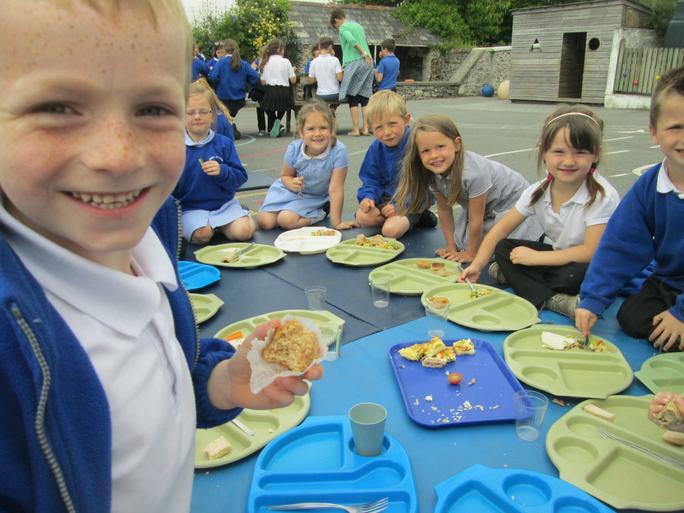 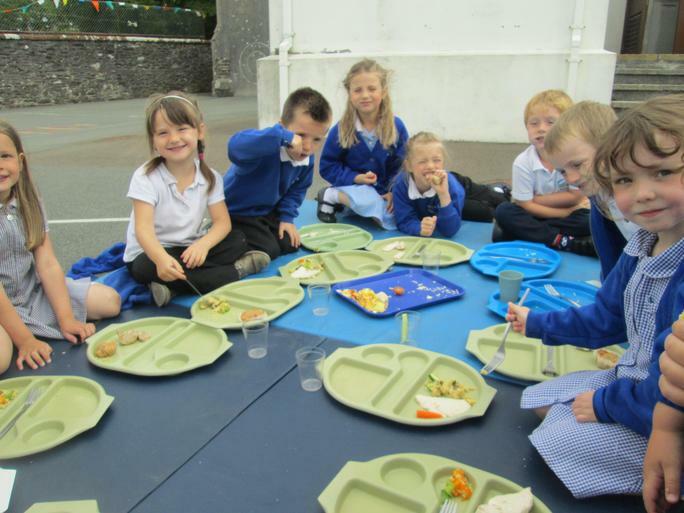 The children then had cake, fruit and ice cream to follow. 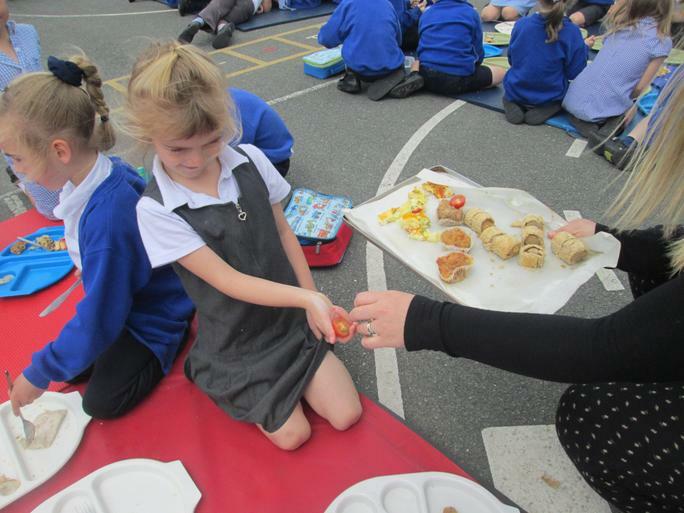 What a treat for the children today!